Engine Repair Service | Engine Mechanic | Metro Transmission Inc. When it comes to engine repair service for your vehicle, we understand it can be a stressful time for you and your finances. Engine repairs can at times be costly depending on the parts and labor required to repair the problem. 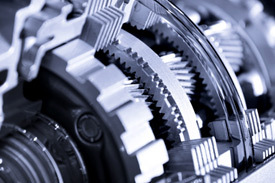 At Metro Transmission and Automotive, we have been in the business for over 30 years! During that time we have built a reputation as an honest and reliable auto repair service shop. Our fully trained and ASE Certified team of mechanics can correctly diagnose any engine problems right the first time, and can confidently repair any issues within your vehicle’s engine. What’s the engine repair service process? The first step in our engine repair service process is correctly diagnosing the source of the problem. We do this through our state-of-the-art computer technology, and the years of experience our technicians bring to the table. Once we determine the problem areas, we will construct the best plan of action for repair and or replacement. We believe it is important that our customers to be aware of what is happening through each step of the process. We will discuss the best option for you and your engine repairs, as well as provide you with a quote on the recommended parts and repairs. At Metro Transmission and Automotive our team of technicians are ASE certified, and bring over 100 years of combined experience to each engine repair project. Many times we are able to save cost to our customers by rebuilding and repairing engine parts as opposed to replacing the engine all together. We are committed to providing high quality services and repairs we can stand behind. If you are currently experiencing engine problems or your check engine light is on, contact us today so we can help you prevent further damage to your engine.